Don’t let the cartoon style of Back fool you; this webcomic offers some serious storytelling. The plot is darker than the comedy-style would have you believe, and the pages flow in a carefully composed narration that is rarely found in online comics. Characters outside of the main cast are generally caricatures, but they are believable within the story’s universe. The main attribute of Back is the strong sense of concept. The story works, and the art is great, but it is the absolute control over the layout and workings of this universe that makes it stand out. I would absolutely recommend this to anyone looking for a new quality webcomic to follow! Firewatch is a game ©2016 Campo Santo, in cooperation with Panic. image ©2016 Campo Santo, depicting the visual style of surroundings, the protagonist and the map in-game. I have heard this game described as a walking-simulator, and I suppose that’s not entirely unfair. In terms of a game Firewatch offers few to no challenges, no leveling or grinding; the focus is on character development and story. Though there are a few easter eggs and a secret ending. It is, however, better likened to a good book; the story stays with you, insisting you ponder the duality and the similarities over and over again. The gameplay is short, I suppose you can get through it in less than four to five hours (I spent two evenings, enjoying the ambience). Yet in these few hours you may enjoy an impressively human experience, with believable human reactions and challenges. It is low-key in it’s delivery, which occasionally lends more power to the experience. The game is set in 1989 and you play as Henry, the lead character who is a white, middle-aged man with his own reasons to seek solitude, a walkie-talkie your only connection to anybody else. This game might appeal more to those past their twenties than to teens, but the experience is, I think, somewhat universal with it’s own take on the fragility and complexity of relationships through various parts of life. 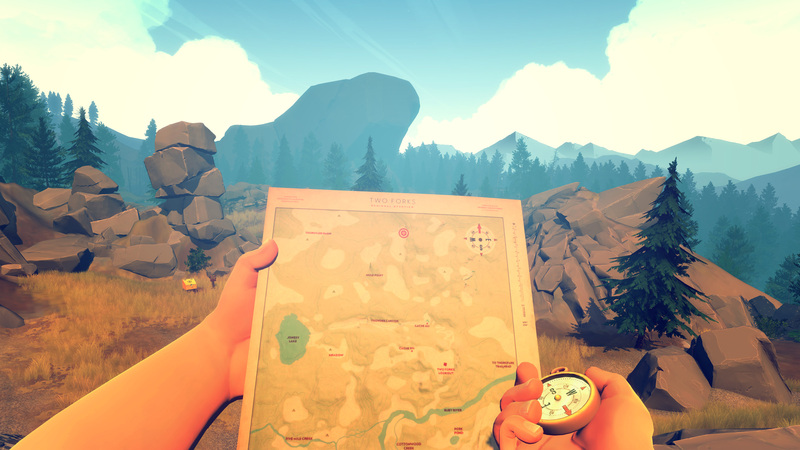 If you are looking for a challenge in terms of gameplay, Firewatch might not be for you. But if you would like to spend a few hours playing through what feels like an interactive novel, I would definitely recommend Firewatch. Do yourself a favor and buy this book! Copyright belongs to the creator. No rights belong to me. 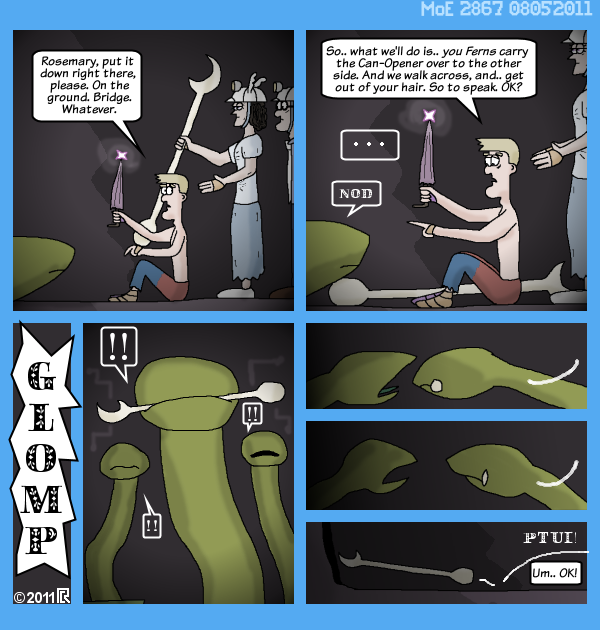 This webcomic is a personal favourite; To me, Bite Me! marks the point where I first encountered the world of webcomics, way back in 2000, and it had a profound influence on me, along with several of it’s now-deceased siblings. Bite Me! refers to itself as a Vampire farce, and has a spontaneous and whimsical blend of slapstick, clihces and historical details. – While I wouldn’t cite it in a historical essay, the research and commitment is impressive, even if only used as a backdrop for the cast’s shenanigans. The art has it’s own unique style, and those familiar with the later work of Dylan Meconis will undoubtedly recognize a few of her personal traits. It is an early work, and occasionally unrefined, but while I may well be biased I fully believe this merely adds to it’s charm. Storywise Bite Me! is spontaneous and light-hearted, sporting chickens, fondue-forks and blood in rich measures. Being a completed work, a fate that rarely befalls webcomics in general, it is a rare treat, even a decade later. It is in the style of a zine, handdrawn and scanned (as most comics were back then). 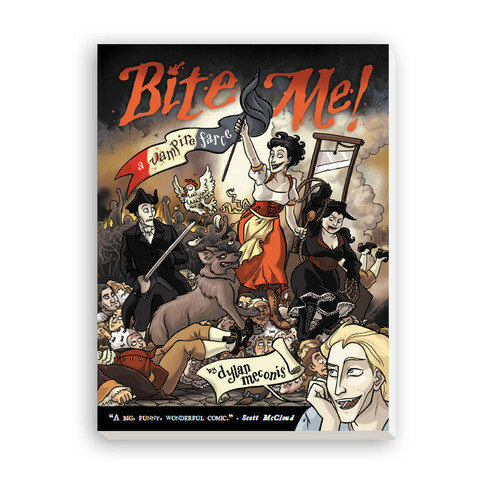 Kicking happily in every direction, be it the brooding vampires of Ann Rice or the more comedy-oriented aproach of Buffy the Vampire Slayer, Bite Me! does it all in good humour and what I suspect is love and admiration.